I'm so excited to welcome psychic and author William Stillman to the show. 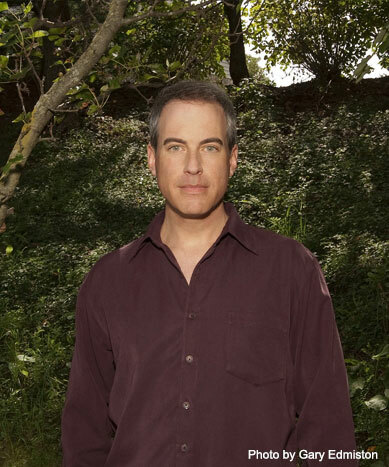 Psychic William Stillman is the internationally known, award-winning author of the Autism and the God Connection book trilogy that explores aspects of spiritual giftedness in many people with autism. 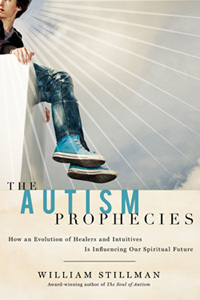 These books encompass Autism and the God Connection, The Soul of Autism, and The Autism Prophecies. 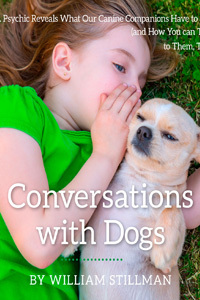 His latest bookConversations with Dogs: A Psychic Reveals What Our Canine Companions Have to Say was published in 2015. His new book, Under Spiritual Siege, about spiritual warfare and how negative spiritual entities affect those of us who are susceptible, will publish in spring 2016. 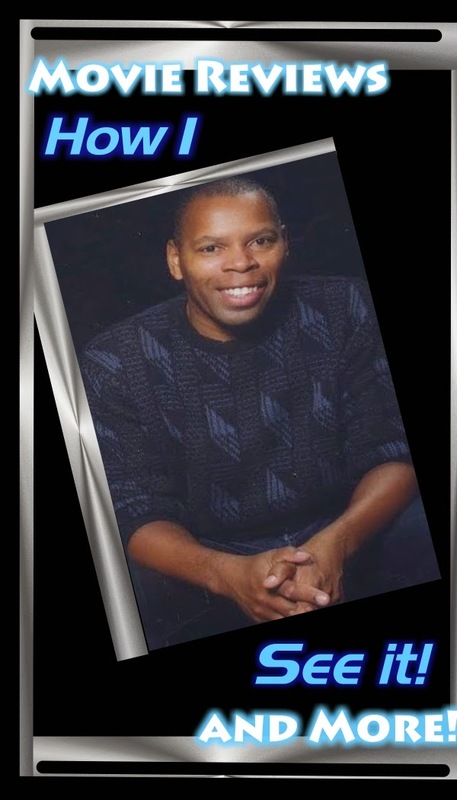 Since 2004, Stillman works professionally as a psychic and spiritual counselor at Alta View Wellness Center in Harrisburg, PA. His accuracy in discerning the truth and making predictions that come to fruition has been acclaimed by his clients as truly extraordinary. Stillman has been a guest speaker for Lily Dale Assembly near Jamestown, NY, the country's oldest spiritualist community. He also volunteers his time as an investigative resource to the Pennsylvania Paranormal Association. William Stillman’s Web site is www.williamstillman.com. 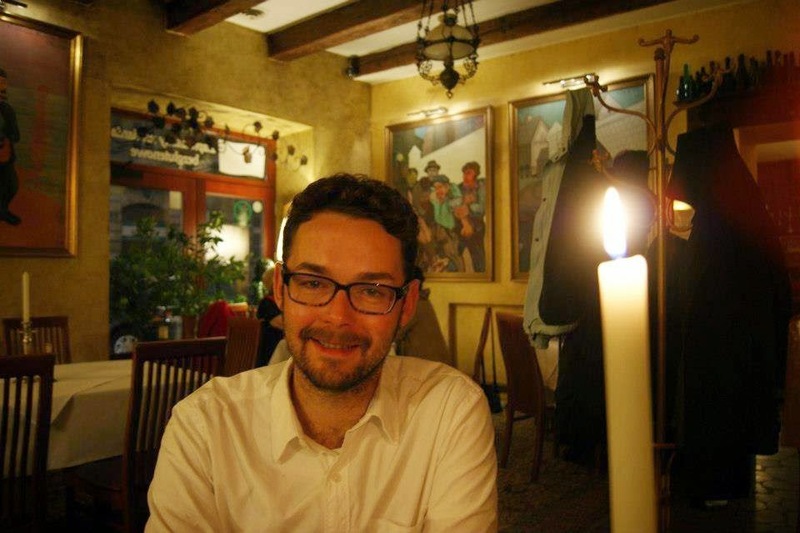 This is our monthly Open Lines Show: to call in with your questions for William/Tarot Dactyl dial 347-989-0744. 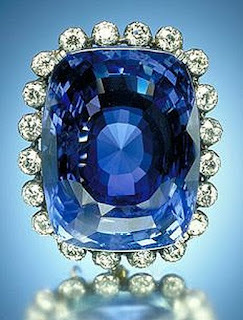 The featured stone on this episode is Sapphire. Tune in today (Thursday August 27) at 4PM EDT for a special episode of There's A Rock For That! radio show. I am delighted to share a wonderful interview I did this week with good friend and guest, Inez Wyrick (aka "Bubbles") on the show. We discussed her Dragon Stones which will be on display Sunday August 30th at 2pm CT at the Hilton Homewood Suites in Amarillo, TX and October 10th 2pm ET at Mountain Mystic Trading Store in Front Royal, VA.
She has had such an amazing and healing journey with these gorgeous stones. She talked about the fascinating 7 day/7 blessings process each stone goes through as well as the wonderful effects they can have on the people who wear them. We had an awesome conversation about everything from what to do when a crystal breaks (which I loved her insight on) to the unique and interesting way in which she determines which stone will benefit someone. Inez shared so much great information! During our interview we were surrounded by the Dragon Stones, examining them and discussing them -- you can hear them rustling in the background! The energy I felt from these stones was profound! Inez Wyrick (aka “Bubbles”) has been an intuitive counselor for people worldwide for over 40 years. An expert in “bringing together the right rock to the right person,” she brings together several spiritual traditions in the rigorous blessing ceremony which she performs on each rock in her collection. She is the sole student of Stormy Winter Hawk (aka Doris Twadell), the granddaughter of Comanche Chief Quannah Parker and great-granddaughter of Kiowa Owl Chief/Prophet Mamanti. Don't worry if you miss the live show, you will be able to find it in the "Radio Archive" on the right side of this page after it airs today. As we always do on the last Thursday of every month, I will be taking your calls during our monthly Open Lines/Open Minds segment which will be during the 2nd half of today's show. Call in to share your crystal journey, ask a question about stones, or get a free crystal reading. The call in number is 347-989-0744. I look forward to hearing from you! Today on "There's A Rock For That!" radio show our Summer Gridding Season continues with Relationship grids. I'll share some ideas for easy to create crystal grids to support the relationships in your life using a variety of inexpensive stones. 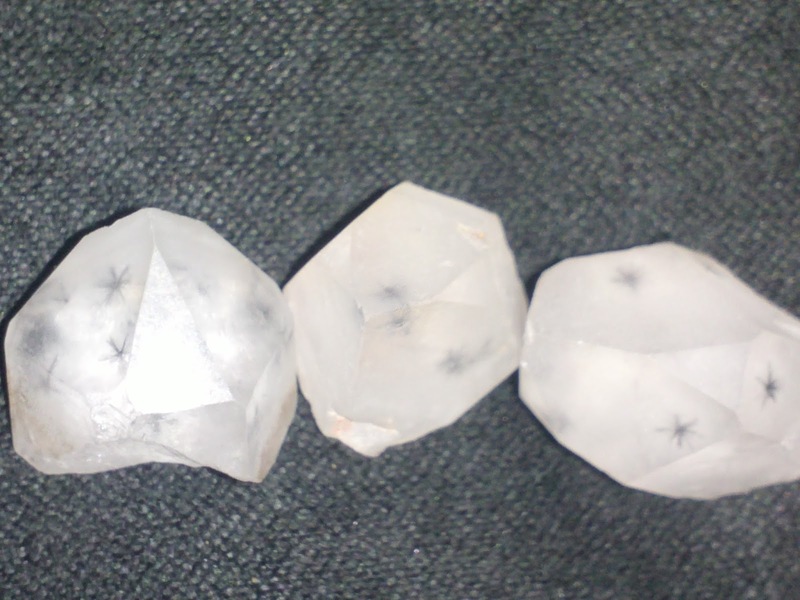 Various approaches from the simple to the complex can be used to create a crystal grid. The most important thing is your personal connection to the grid. Every relationship is unique and every relationship grid should be too. I'll talk about the stones I used and the meaning of the configuration on the show. 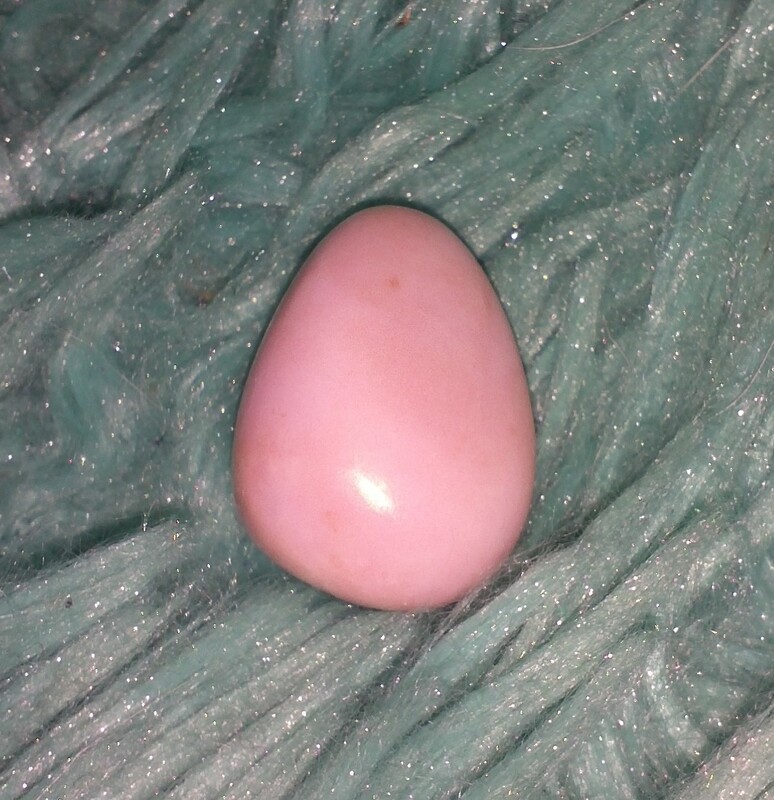 Our "crystal guest" on this episode is Rhodonite. 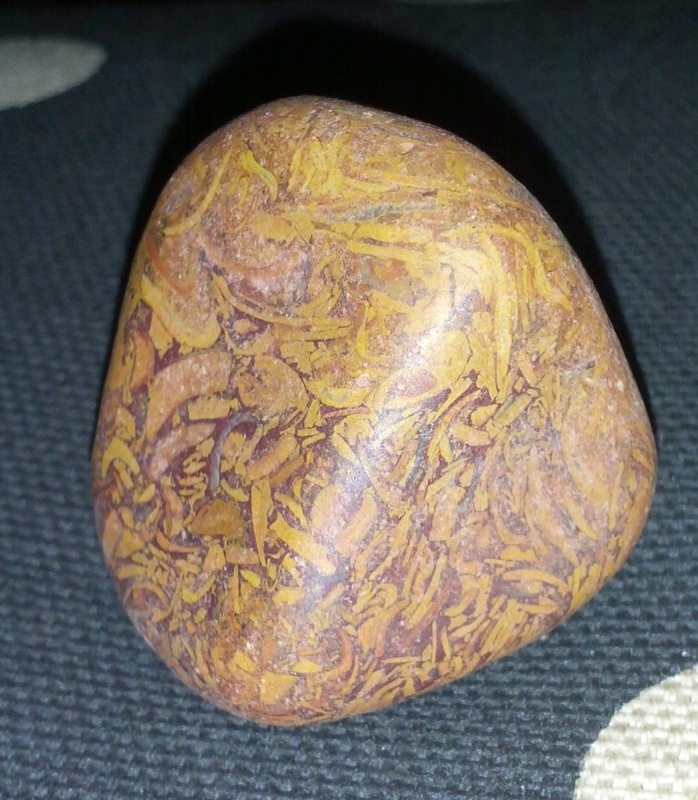 We will explore the folklore, metaphysical properties and healing applications of this beautiful rock. If you're away from your computer, you can listen in on your phone by calling 347-989-0744. And, of course, you can always listen later in the "radio archive" on the right side of this page. Hope to see you there! Labels: Attune Magazine Radio, crystal grid, crystal healing, crystals, metaphysics, relationships, spirituality, Tarot Dactyl, There's A Rock For That! I am a guest tonight (Sunday July 12th) at 8PM EDT on Positive Perspectives Radio show with Host Melinda Carver. We'll be talking about Tarot, crystals and angels and taking your calls. The call-in number is: 646-915-8066. Join me today at 4PM EDT for the next installment in our Summer Gridding Season series on There's A Rock For That! radio show. Today we'll be talking about how to design your own crystal grid for attracting abundance. Here's an example of an easy to create grid that I made for attracting money. 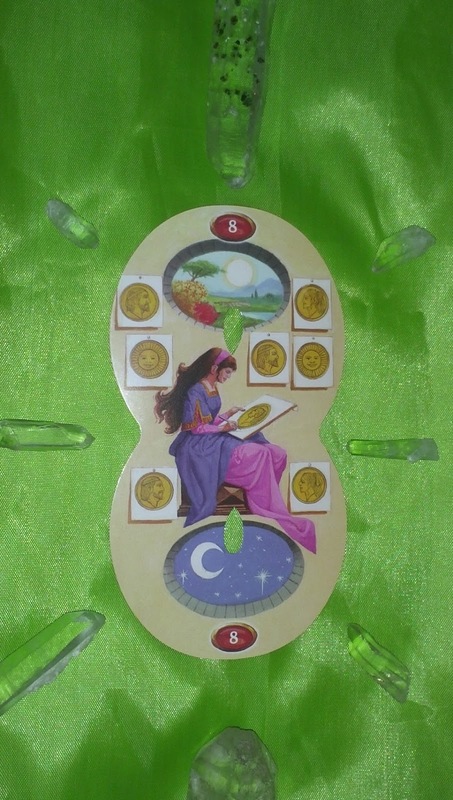 I used a green cloth (the color of money) and placed the 8 of Pentacles Tarot card in the center (card from the Infinity Tarot deck by Lo Scarabeo). I placed a green aventurine on top of the card and 8 crystal points around it. 8 is a great number to work with for attracting abundance. I even have friends who like to keep a copy of the 8 of Pentacles card in their wallet for that reason which is something else you could try. The crystal at the top of the grid is a clear quartz with inclusions of clinochlore. The crystal at the bottom is generator quartz. On the show I'll go into detail about why I like to use different types of quartz points at the top and bottom of my grids. Our crystal guest on today's show is Chrysoprase. We'll explore the wonders of this gorgeous stone and discover ways in which we can incorporate it into our lives and how it can benefit us. 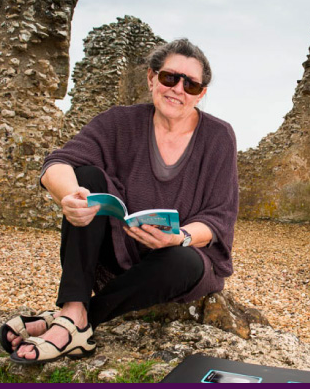 If you happened to miss last week's show with Crystal Bible author Judy Hall, you missed a real treat! Judy is a real gem! 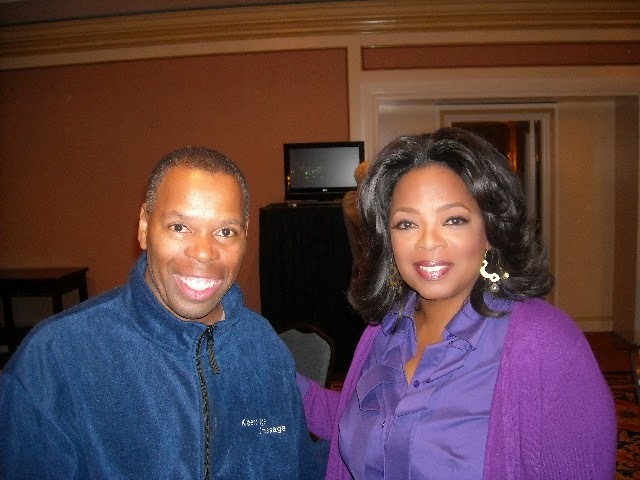 She shared so many fascinating crystal insights. You can find the link to the episode in the "Radio Archive" on the right side of this page. Whew! June was a pretty exciting month on There's A Rock For That! radio show. We explored our Higher Self, reviewed the Crystal Reading Cards by Rachelle Charman and kicked off "Summer Gridding Season." If you missed any of the episodes you can check them out in the "Radio Archive" on the right side of this page. Tomorrow is our monthly "Open Lines" show. I will be taking your calls. The call-in number is 347-989-0744. Call in with your questions about crystals, share your crystal journey, or get a free crystal mini reading. I love having this opportunity to connect with and learn from you as well, so don't be shy about sharing your favorite crystal tips! Show starts at 4PM EDT --if you want to join the fun in the Blogtalkradio chatroom, don't forget to sign in. Hope to see you there! Tune in to There's A Rock For That! radio show today at 4PM EDT. 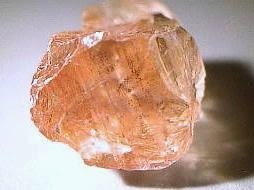 The "Crystal Guest" on the show is Mangano Calcite. 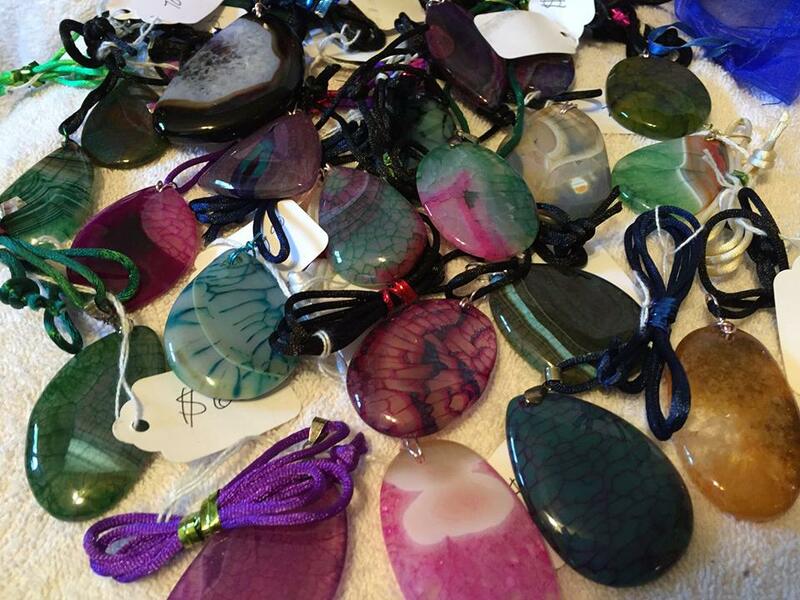 We'll explore the folklore, metaphysical properties and healing applications of this beautiful stone. Today is this month's "Open Lines" show. Call in with your questions about crystals, share your experiences with rocks, and get a free mini crystal reading too! The call in number is 347-989-0744. Tarot Dactyl is on Adrenaline Today! Tune in today at 11:45 AM PST. I'm excited to be a guest on Adrenaline Radio. Join me at 4PM EDT today for "There's A Rock For That!" radio show. Today's topic is "Mythical Gems" and the Crystal Guest is Zircon. on Thursday 4/23/2015 at 4PM EDT. To tune in to the live show on your phone: call 347-989-0744. If you can't tune in to the live show today it will be available in the "Radio Archive" on the right side of this page after the live broadcast. 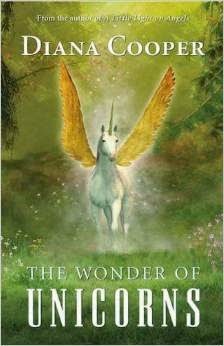 Wow -- how in the realms do I follow last week's amazing show about Unicorns with the one and only Diana Cooper? I'll tell you how. I declare this Thursday (April 16th) "Angel Day" on "There's A Rock For That!" radio show! I figure... after getting through "tax day," we could all use a lift. So it's a good time to call in the angels. I can't believe it's been a year since I've done an episode about angels on the show. Of course, the subject has come up here and there -- really, how could it not? But, in the intervening months between now and last April when I did the "Angelic Stones" show, I have had the most profound experiences with the Angelic Realm. And, I'm finally able to talk about it. 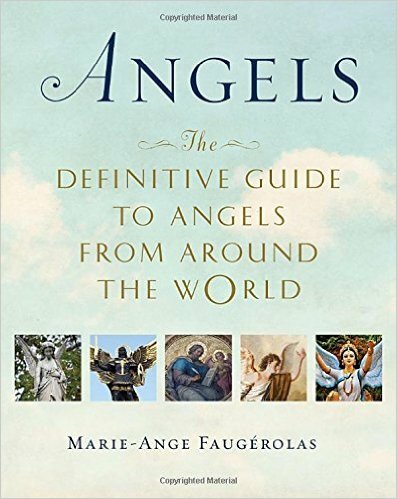 I have some tips to share with those wanting to connect with Angels, too. 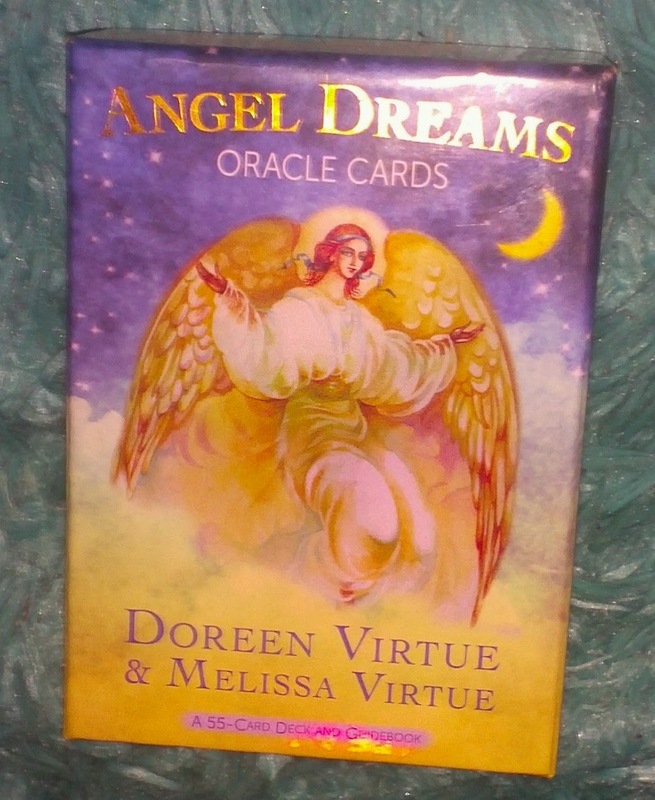 Also, I will review the "Angel Dreams" oracle cards by Doreen Virtue and Melissa Virtue and discuss the stones included in that deck. The "Crystal Guest" on this episode is Seraphinite. 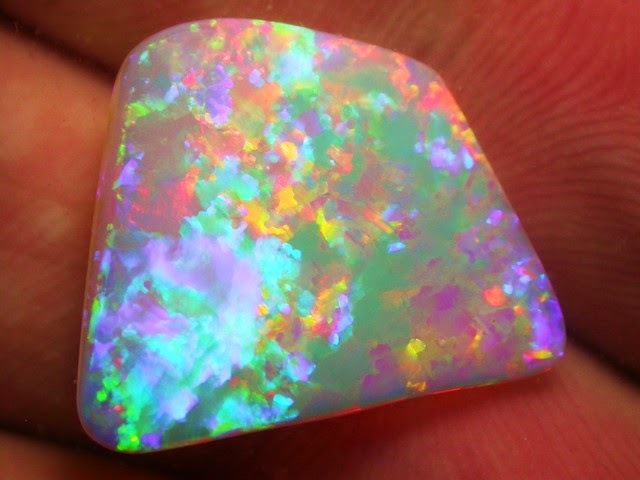 This is one heck of a remarkable stone and you won't believe what happened with the piece of it that I have! But, you'll have to tune in at 4PM EDT on Thursday April 16, 2015 to find out! To tune in to the live show online go to this link: http://www.blogtalkradio.com/attunemagazineradio/2015/04/16/theres-a-rock-for-that-angel-dreams-angel-stories-and-angel-stones or you can listen to the live show on your phone by calling 347-989-0744. As always, the show will be made available after the broadcast in the "Radio Archive" on this page. 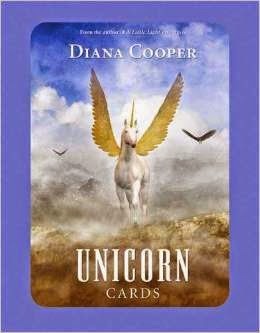 Diana Cooper and Unicorns - Today at 4PM EDT! 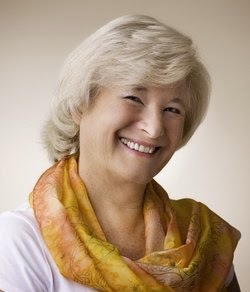 Today, I am thrilled to welcome best-selling spiritual author Diana Cooper to the show. We will be talking about unicorns. I’ve been wanting to talk about unicorns for quite some time. To me, they are the unsung heroes of spiritual discourse. In folklore unicorns have a reputation for exposing the truth. I have found that to be also true when it comes to spiritual discussions. I’ve had the experience of having serious discussions with people about angels, gods/goddesses, orbs and fairies. But, the moment I bring up unicorns, eyes start rolling. It does bother me a bit when I get that reaction. So I’m honored to have someone who has written so much about unicorns and really “gets” them on the show. When I contacted Diana, she said she thought it important that we discuss the 9th dimensional unicorns which are coming in now. I can’t wait to learn more about that! Diana Cooper's journey started during a time of personal crisis when she received an angel visitation that changed her life. Since then the angels and her guides have taught her about the angelic realms, unicorns, fairies, Atlantis and Orbs as well as many other spiritual subjects. She has enfolded this knowledge and wisdom into her books, CD's and card sets. Diana's aim and vision is to light the way to enable children, adults and the planet to ascend graciously and happily. She teaches seminars worldwide and is the Principal of The Diana Cooper School, a not for profit organisation which offers certificated spiritual teaching courses throughout the world. http://www.blogtalkradio.com/attunemagazineradio/2015/04/09/theres-a-rock-for-that-talking-unicorns-with-diana-cooper or you can listen to the live show on your phone: (347) 989-0744. Tune in this Thursday (April 2, 2015) at 4PM EDT to "There's A Rock For That!" radio show. 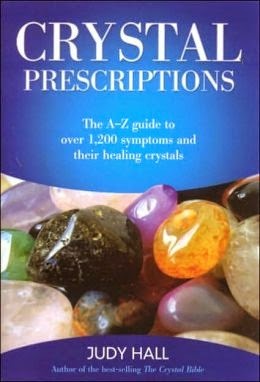 On this episode I will review the book "Crystal Prescriptions" by Judy Hall. It's a very interesting and potentially useful resource. During the show I will take requests from the chatroom to look up the "prescribed" crystal for a specific condition. The "Crystal Guest" on this episode is Rutilated Quartz. I have found this particular stone to be very helpful and I'm excited to share my experiences and additional information about it with you. 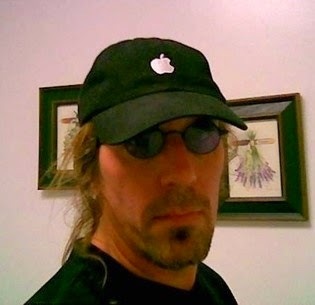 To tune in to the show, go to this link at 4PM EDT on Thursday April 2, 2015: http://www.blogtalkradio.com/attunemagazineradio/2015/04/02/theres-a-rock-for-that-crystal-prescriptions-crystal-guest-rutilated-quartz You can also listen in to the live show from your phone by calling 347-989-0744. Tune in today at 4PM EDT for a fascinating episode of "There's A Rock For That!" radio show on the Attune Magazine Radio Network. My guest on today's show is Dr. Uwe Albrecht, creator of the "Innerwise" healing system. I'm very excited to have him on the show to explain how his system works and to explore the subject of holographic healing with him. 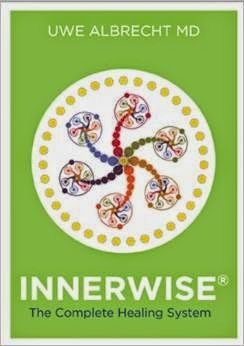 I've been using Innerwise for several months now and I love it! I'm thrilled to be able to share this very unique and extremely user-friendly healing modality with listeners. 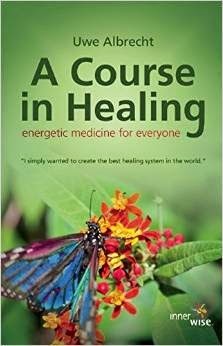 We'll also discuss Dr. Albrecht's wonderful book, "A Course in Healing." Written from a fun point of view, it's an easy to understand guide to health and healing with simple yet profound techniques that anyone can do. Later in the show I will be examining the metaphysical properties and folklore of this week's "Crystal Guest" Sunstone! To tune in to the live show, go to this link at 4PM EDT/3PM CT/2PM MT/1PM PT: http://www.blogtalkradio.com/attunemagazineradio/2015/03/12/theres-a-rock-for-that-dr-uwe-albrecht-energy-medicine or you can listen on your phone by calling (347) 989-0744. I look forward to seeing you there! Catch up with the show! The "Radio Archive" on the right side of this page is now up to date. If you missed this week's episode with guest Dusty White, you missed a great one! Dusty enlightened us on his approach to astrology with humor and wisdom. 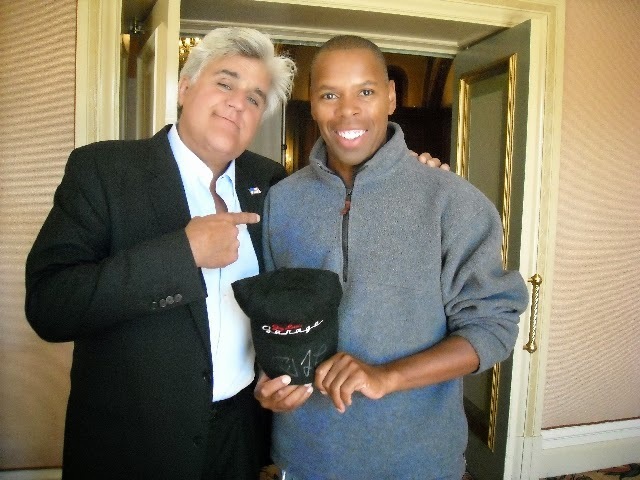 I had such a blast speaking with him. He surprised me with a brief astrological reading which was a real treat! I'm really looking forward to his book on astrology which comes out later this year. 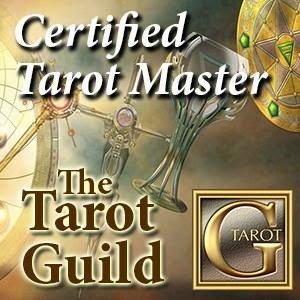 If you want to keep up with Dusty, be sure to check out his website www.easytarotlessons.com. I also shared my take on the so-called birth/zodiac stones. 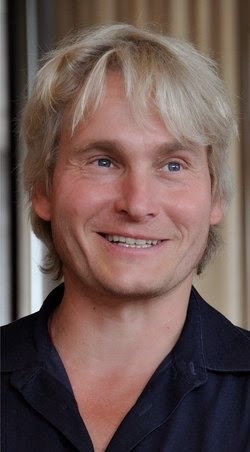 In the meantime, mark your calendars for next week's show -- Thursday March 12 2015 at 4PM EDT -- we'll be exploring holographic healing with Dr. Uwe Albrecht! Stay tuned for more information on this fascinating episode! Today at 4PM EDT: Dr. Norm Shealy, M.D. Ph.D! Jump-start your healing! I am honored to welcome Dr. Norm Shealy to "There's A Rock For That!" radio show today as my guest. We will be talking about many different types of health conditions and healthy ways in which they can be managed and even cured. I have learned a lot from reading Dr. Shealy's books and listening to his radio show on Hayhouse Radio. I have heard from so many people suffering from poor health and looking for "a rock for that." I believe crystals can be of great help when it comes to healing ourselves, especially when they are used in conjunction with the proper medical care. So I'm very excited for listeners of the show to learn about the many other ways in which they can become empowered on their journey to wellness. 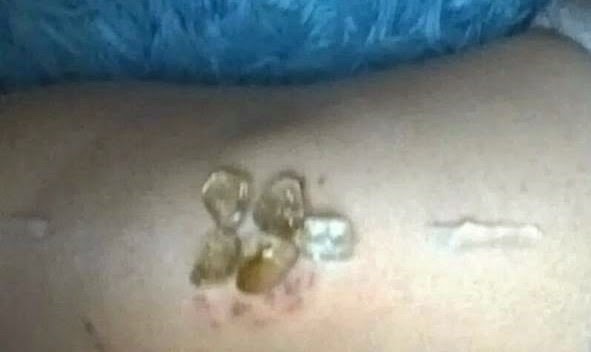 On a personal note: After two years of undergoing conventional medicine's painful treatments and prescription medications to try to recover from multiple injuries I sustained in a devastating car accident, I started using Dr. Shealy's method of transcutaneous acupuncture with essential oils and his magnesium lotion. Now, after two months, I'm amazed at the progress I've achieved with the help of his techniques and products. These things didn't just help me a little -- they jump-started my healing when I was at a point where my doctors had said I had "plateaued." And, to my happy surprise, I find that I no longer need to take medications my physician said I would need "for the rest of my life." So you can understand why I'm such a fan of Dr. Shealy! 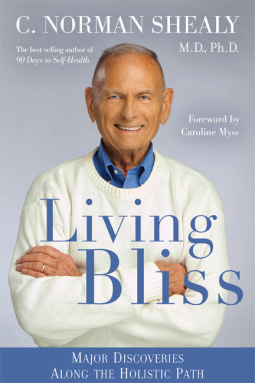 C. Norman Shealy, M.D., Ph.D. is a neurosurgeon and one of the world’s leading experts in stress and pain management. Dr. Shealy holds 10 patents and has published hundreds of articles and many books. As one of the first physicians to specialize in therapy and research of chronic pain, he founded the Shealy Institute in 1971. The center was the first comprehensive, holistic clinic in the country for the management of depression, migraine, fibromyalgia, and back pain, resulting in numerous pioneering treatments. Dr. Shealy bridges the gap between holistic medicine and traditional Western medicine to allow individuals to take responsibility for their own health. Dr. Shealy’s free newsletter is available at www.normshealy.com and you can listen to his weekly radio show Wednesdays at 12PM CT on HayHouse Radio. The "Crystal Guest" for this episode is Mica. We will be taking your questions for Dr. Shealy during the show--call into the show or post them in the chatroom. You can tune in today (Thursday Feb 12 2015) to the live broadcast online by going to this link at 4PM EDT/3PM CT/2PM MT/1PM PT: http://www.blogtalkradio.com/attunemagazineradio/2015/02/12/theres-a-rock-for-that-guest-dr-norm-shealy-md-phd or you can listen live on your phone by calling 347-989-0744. This is one show you will NOT want to miss! I can't believe we've already completed our first month of "There's A Rock For That!" radio show being on its new network Attune Magazine Radio. I have to say the new energy that the new year and the change of venue has brought to this show has been absolutely revitalizing and beautiful. My rocks and I are thrilled to be a part of the "Attune Magazine family!" We closed out the month of January on the 29th with an Open Lines show. 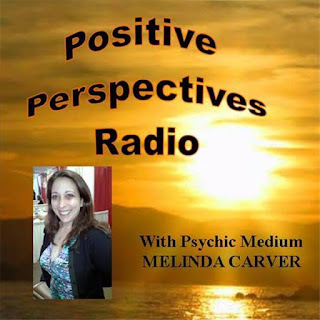 This is something we do on the last Thursday of each month to give listeners an opportunity to ask questions or add their own insights about the topics discussed during the month, share their own crystal journey or get a free crystal reading. The crystal guest on this show was Miriam Stone. Photo by Mary Brown aka "Tarot Dactyl." February is a very exciting month on "There's A Rock For That!" radio show. We kicked off the month of February on the 5th with guest Cedar Branches. We talked about everything from spirituality, religion and mysticism to Cedar's fascinating method of manifestation. 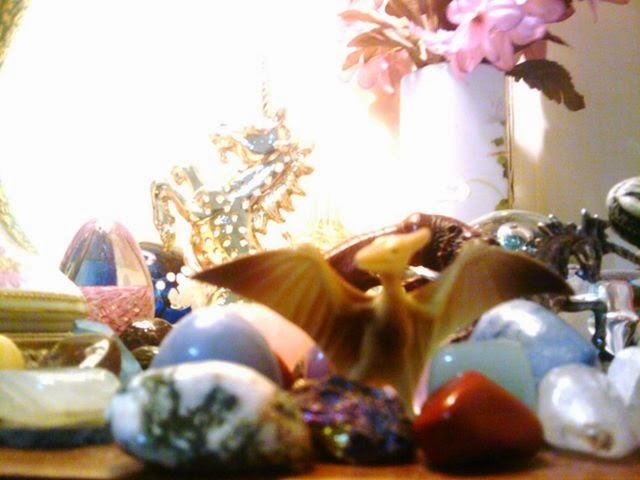 Be sure to visit his Facebook Group, "Mystical Masters": http://www.facebook.com/groups/mysticalmasters. Our crystal guest on the episode was Opal. If you missed this episode or any other, check out the "Radio Archive" on the right-side of the page. Then, on Thursday February 19th at 4PM EDT Matthew Toussaint, a multi-disciplinary shaman with the Blue Morpho Foundation will be joining us to talk about shamanism and his work as a ceremonial leader. 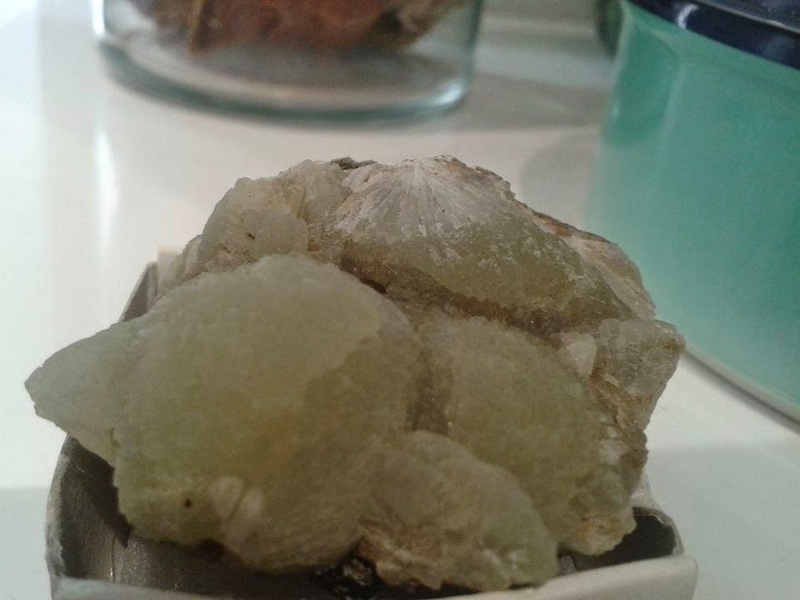 The crystal guest is Fulgarite. We'll close out the month of February on the 26th with an open lines show and the featured stone is Desert Rose Selenite. Stay tuned for more details on these amazing upcoming episodes of There's A Rock For That! on the Attune Magazine Radio Network. And, don't forget to check out my column in Attune Magazine. Yesterday on "There's A Rock For That!" radio show I talked about how we can use different crystals to align our chakras. I gave a lot of options for crystals that can be used for each of the 7 main chakras. There are more chakras, but I was barely able to cover the main 7 in the time allotted on the show. So we may revisit the topic of the chakras in a future episode and explore more of them. 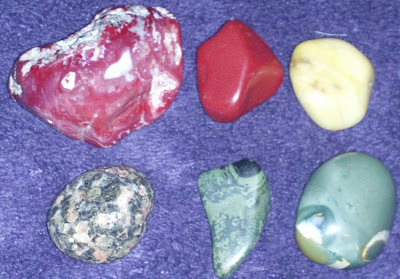 I shared lots of stones which can be used for each chakra. There are many, many others as well. That's why I find that working with the colors of the rainbow which correlate to the main chakras while following your intuition is a great way to discover the stones that may provide the best help to you for the specific issues you are dealing with in your life. 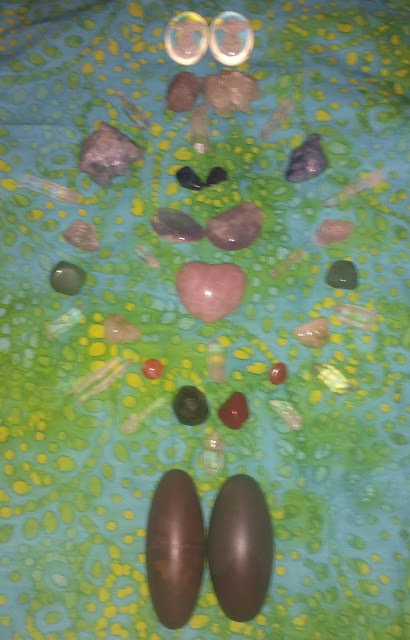 Here's a picture of my rainbow array of "chakra boxes" which I have found handy for storing stones which I like working with for each of the main chakras. Over the years I've added stones to each box and given some away too. When I have visitors, I'm always fascinated by how they always seem to be drawn right away to the boxes and to certain stones as well. Two books I mentioned on the show which I have found to be very helpful and to which I refer frequently are: "Wheels of Life" by Anodea Judith and "Chakra Awakening" by Margaret Ann Lembo. Both of these books have a plethora ideas about the chakras and ways of working with them. "Chakra Awakening" in particular contains a lot of wonderful information about using crystals to work with the chakras. 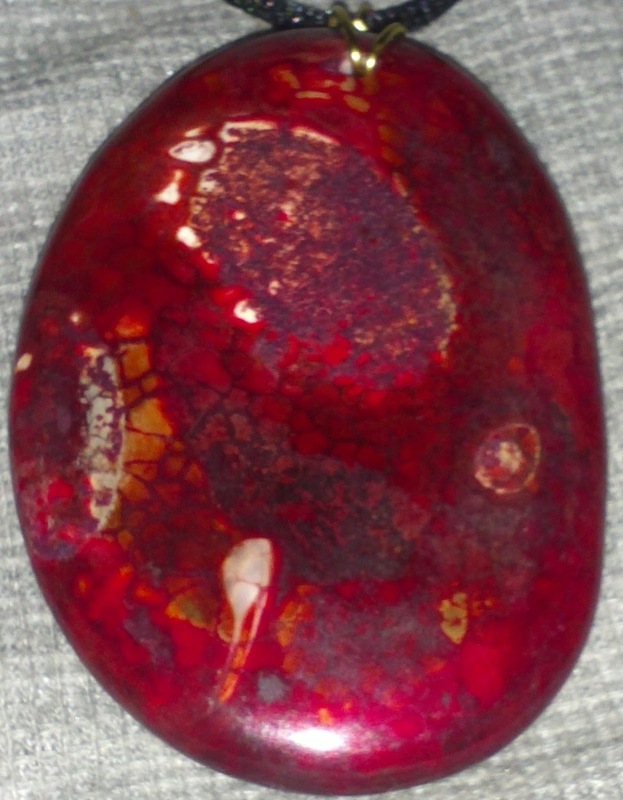 The Crystal Guest on the show was Red Garnet. This is a stone which I could have devoted the entire show to and still only scratched the surface. 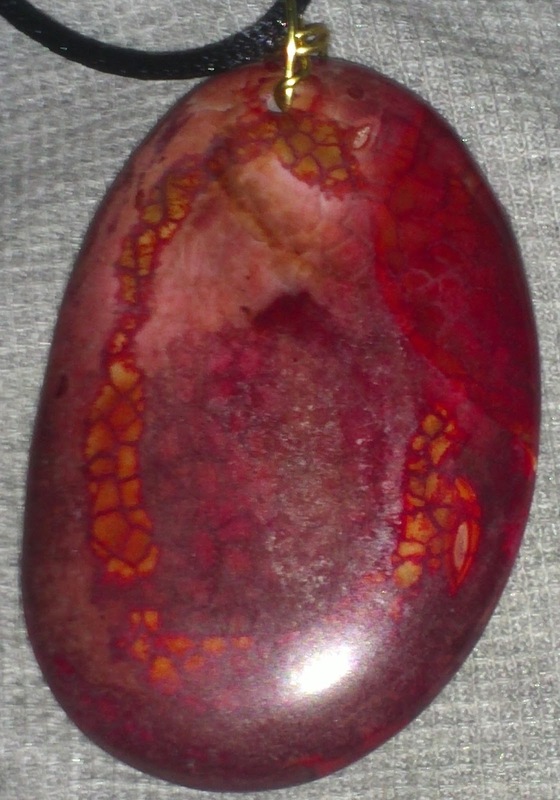 So I hope, that if what I was able to share about it piqued your interest in this stone, you will explore it more on your own. If you weren't able to make the live broadcast of yesterday's show, you can listen above as well as find it in the "Radio Archive" on the right side of this page. Next Thursday, January 22nd at 4PM EDT, we will continue our exploration of Past Lives. The Crystal Guest will be Fossils! I hope to see you there. If you missed the first show on this topic (last week) you can find it in the Radio Archive. In the meantime, I wish everyone a lovely weekend and look forward to continuing to share the crystal journey with you! 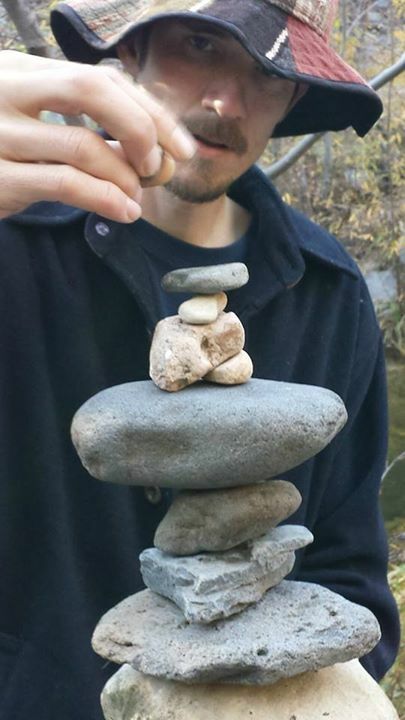 Just a reminder: if you haven't yet, join the show's Facebook group: https://www.facebook.com/groups/arockforthat/ -- it's a great place to keep up with the show and talk rocks with other Stone Guardians. 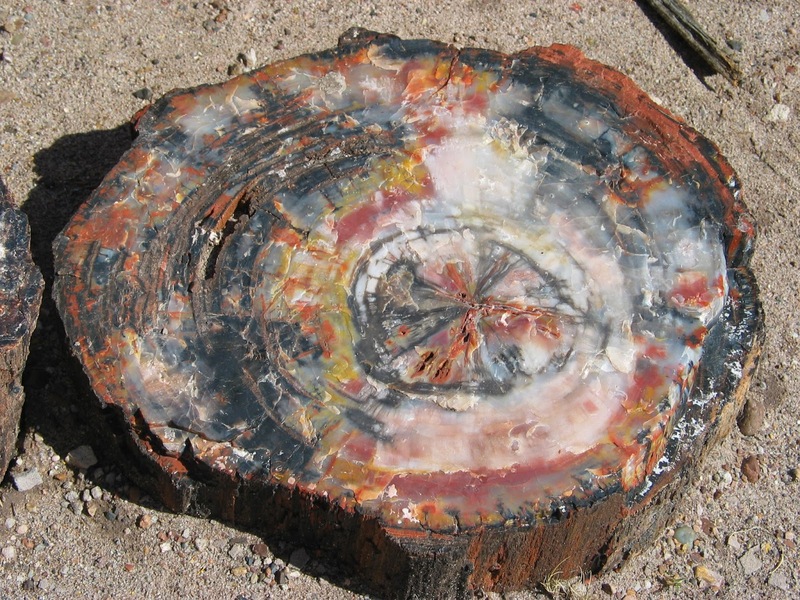 Past Lives and Petrified Wood Today at 4PM EDT on Attune Magazine Radio! Tune into "There's A Rock For That!" radio show today at 4PM EDT. I will discuss Past Lives and several different ways in which we can connect to our previous incarnations. I will explore the many benefits of exploring our past lives and what we may learn by doing so. The Crystal Guest is Petrified Wood. During the second half of the show I will examine the folklore, mineral content, metaphysical properties and healing applications of this amazing stone. 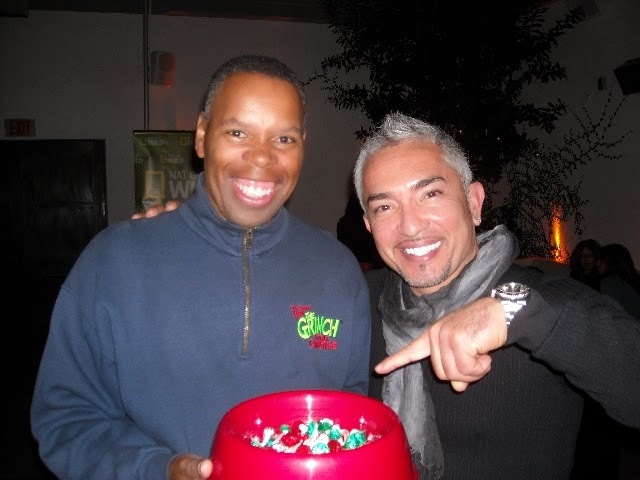 Or you can listen to the live show on your phone -- the number is 347-989-0744. As always, the show will also be available after the live broadcast in the "Radio Archive" on this page to listen to at your convenience. I'm very excited to be a guest on "Movie Reviews and More" on Adrenaline Radio at Today 11:20 AM Pacific Time! So tune in or catch it later in archive -- you don't want to miss out on this fun show! 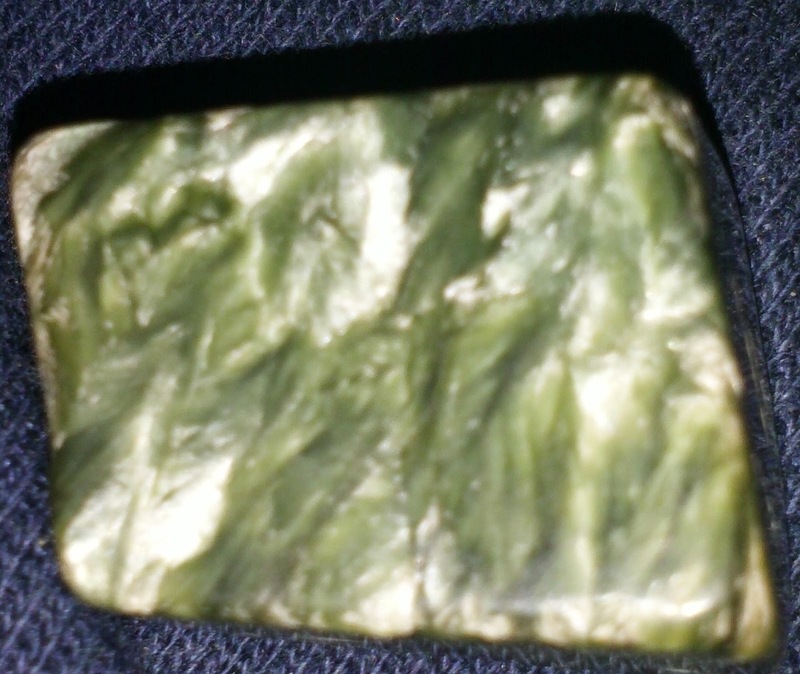 I will explore the folklore, metaphysical properties and healing applications of this lovely stone. I'm excited to debut a guided meditation which Jason and I collaborated on! We will discuss various approaches and benefits of meditation. Jason designs meditations for others which is such a lovely and unique service to offer! Jason and I had an unusual paranormal experience about a month ago while skyping -- wait until you hear what happened! Later, we will both share our insights on what we can look forward to in 2015 by doing a reading about the new year! To listen in on your phone-- call (347) 989-0744! We're gonna have more fun than a football game today---I hope to see you all there! 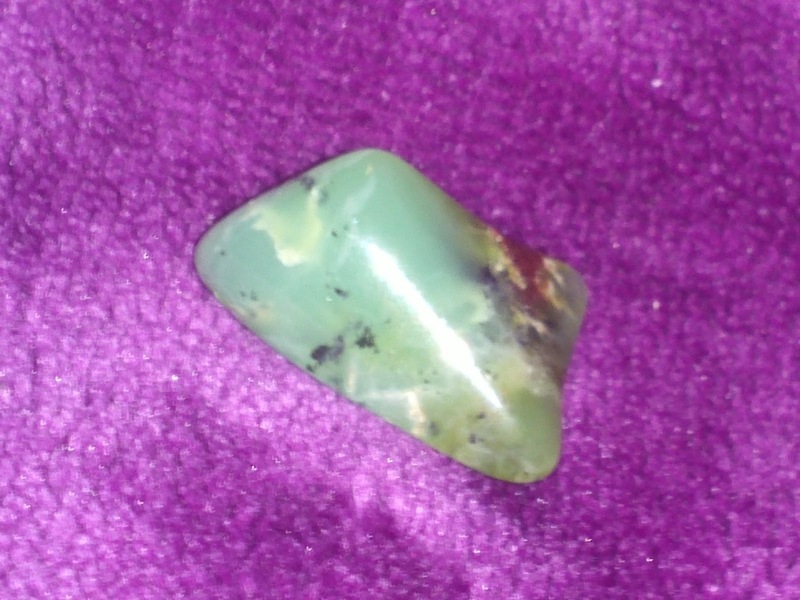 Labels: 2015, crystals, guided meditations, Jason Spilman, meditation, metaphysics, New Year's Day, paranormal, Prehnite, spirit, spirituality, There's A Rock For That!